The lifeblood of every website is the number of organic rankings it gets. To get a massive traffic of organic link on your site,it's essential to play your cards right and tap into the never-ending stream of targeted traffic. 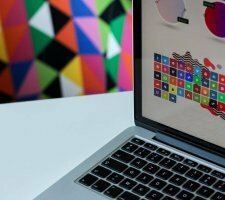 Ask any SEO, PPC, and content marketing expert about the different tools that could help establish a website flourishing with organic links. SEO 2018: Complete SEO Training + SEO for WordPress Websites. Rank 1 on Google with Technical SEO, 0.5s Pagespeed, UX SEO, Backlink SEO, Keyword Research SEO + WordPress SEO Training. A well organized, professional course that I recommended. If you don’t have enough traffic on your website that should be the first indication that you are not using the keywords right. 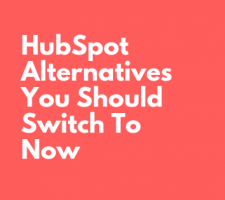 You have content but it's not catering to the right audience at the right time to allow them to make a purchase decision. Using a reliable keyword research tool can get you results you want to build a profitable online business. With so many keyword searching tools, it’s hard to pick which one is the best. So, we have compiled a list of the best tools to help you find the keywords you need to boost your business. KWfinder is a unique tool that works by using three different types of group ideas. It includes questions, autocompletes, and suggestions. Data filtering is easier as compared to other tools. Thanks to the accurately laid out search volume in an organic setup the KWFinder way gives you all the data that you expect. KWFinder uses several tools, including Majestic and Moz, to determine the number of monthly searches for a keyword, find relevant related keywords, and define the difficulty in positioning. Beyond the SEO point of view, KWFinder is a great tool for finding niche ideas and defining the keywords to work on. This translates into relevant related keyword proposals, with a competitive score and the ability to analyze and compare the top 10 results of a given keyword quickly and easily. SEMRush is the first marketing tool that was primarily focused on compiling keywords based on competitor based keywords research. This useful keyword research tool gained popularity rather quickly when it was used coherently with digital marketing content and SEO based websites. SEMrush has consistently demonstrated its expertise. Thus, the tool that you can now have at your disposal has really been developed in order to present you in an intuitive, clear, while being detailed and professional. SEMrush presents all the elements necessary for your SEO but also to monitor your e-commerce competitors and discover their strategy on the web. 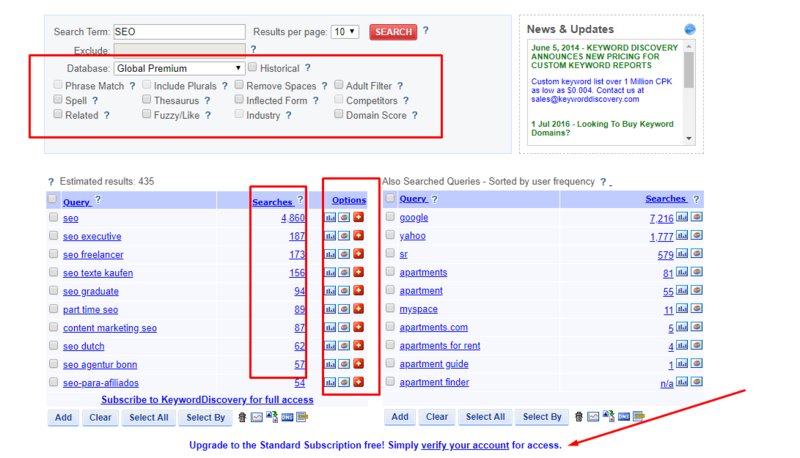 Ahref is the undisputed king when it comes to finding a keyword research tool to boost your business. Putting Ahref at work shows its true potential, this fantastic tool is able to pull the most numbers of keyword suggestions. The ability to pull the most keywords makes Aherfs way ahead of other tools. 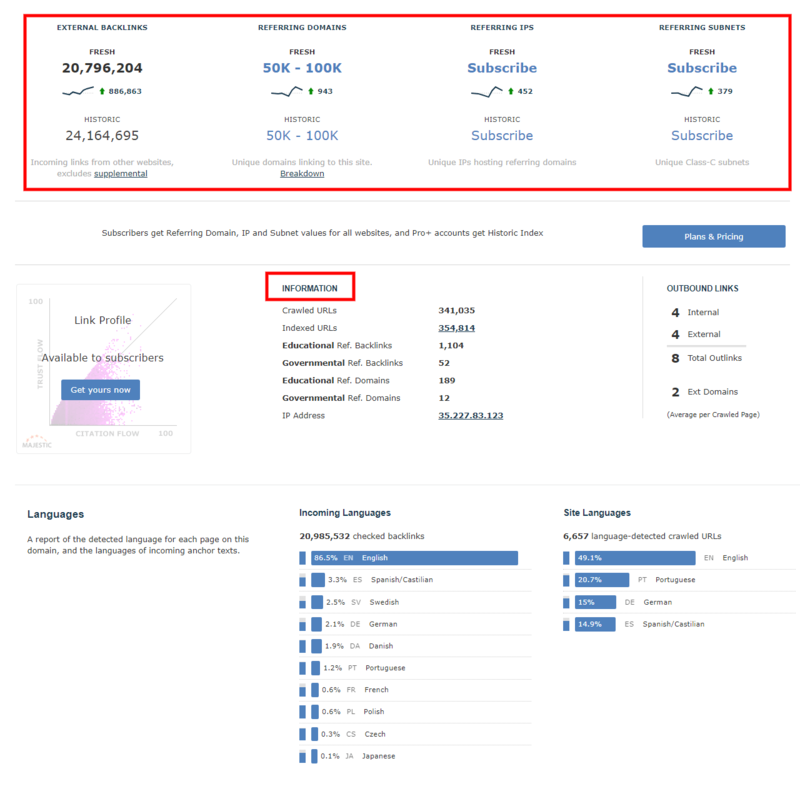 Ahrefs has a fantastic data filtering that helps you to sort an entire list of keyword suggestions based on keyword difficulty and search volume. Ahrefs uses these metrics to give you better results by caching it in the keyword database. This is the only tool that uses three unique keyword metrics including clicks, return rates and clicks per search. Long trial Pro is a premium keyword research tool that has many benefits. You can find the right keywords to help boost organic traffic for your blog or website. It lets you find keywords that remain undiscovered by the best tools on the market. It needs access to your Google Adwords account, once accessed, Long Tail Pro looks for keywords that you might have missed. This is the best tool to use if you want unique keywords for the blog. It is one of the best keyword searching tools with hundreds of results. The keyword searching is based on the search volume, the PPC competitiveness, and the top ten pages ranking on Google. A part of the Google Adwords, Google Keywords Planner is a free keyword research tool that’s quite popular. The best thing about Google Keyword Planner is that any new or seasoned blogger can use it to find the keywords related to their business. The reason behind why Google created the Keyword Planner was to help Adwords users to look for keywords for bidding to increase traffic to their site. Using the Google Keyword Planner will allow you to have the most recent keywords because it’s a Google product. I like to search for keywords by hand, analyze each one to see if it fits the clientele I'm aiming for. The KeyWord Planner is flawed but its power remains immense. I also use it when I work on the semantics of my content. PS.as advertiser , you will get more statistics. The Keywordtool.Io , which extracts Google's auto-suggestion results, offers a relatively extensive list of suggested keywords. The free version can generate up to 750+ queries for each searched keyword. You can export the keyword generated. The search is done on Google, Bing, Amazon, Youtube, and the App store. 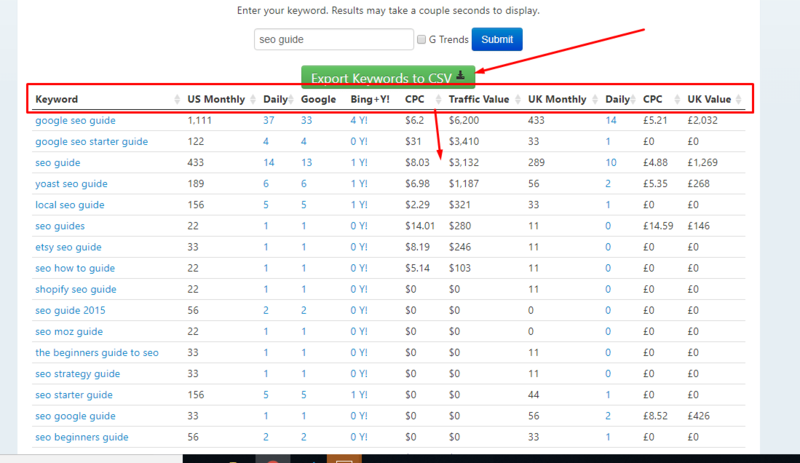 The search volume, the CPC and the keyword competition in Adwords generated keywords are in Pro version only. Keywordtool.io works by using Google Autocomplete for generating relevant long tail keywords for your topic. 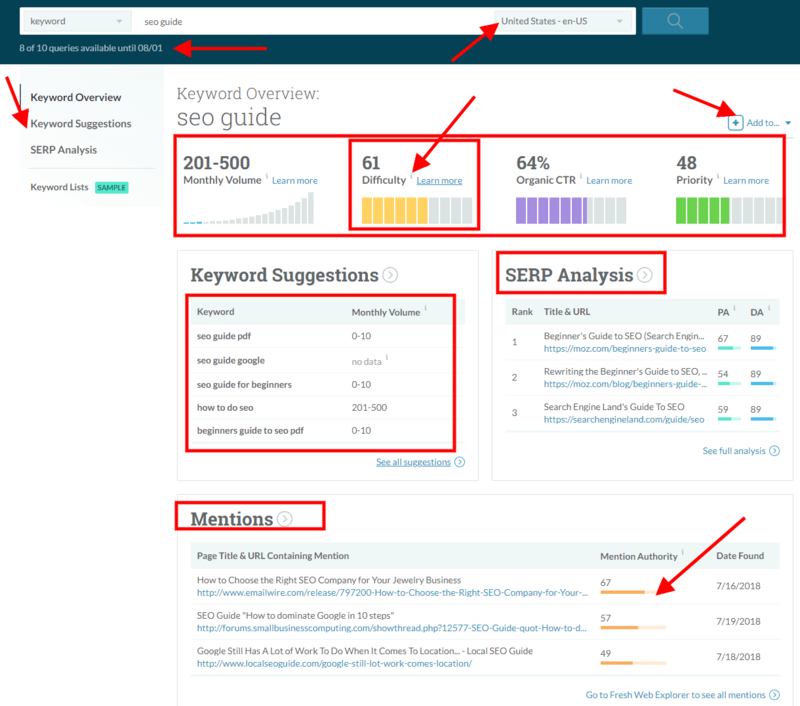 Ubersuggest is another great free keyword research tool for beginners owned by Neil Patel. It helps you easily find a a number of keyword ideas. Ubersuggest searches by volume, SEO competition metrics,CPC, Negative keyword search and Related/lateral search. Briefly, this program is an awesome, legit option I can recommend if you’re looking for free ways to find great and even decent KeyWord ideas. Doesn’t include features like keyword difficulty, competitive analysis so far. Keyword Explorer is a keyword research tool by Moz. Besides Difficulty and Volume, Moz Keyword Explorer provides a combination of all the keyword metrics to help in prioritizing things, how significant the keywords can be for the campaigns and relative CTR for the organic search results on SERPs. Enter any keyword or phrase into their search bar, click enter, and you’re shown pretty much everything you need to know for your keyword research – Difficulty, volume, opportunity, potential, suggestions, analysis and mentions. Moz Keyword Planner also provides a deeper understanding about why definite pages rank within SERPs as per the link as well as social data. It will also help you in planning the SEO strategy further than keyword research. This all-in-one tool contains four more modules covering Competitor Analysis, Site Audit, Backlink Analysis and Rank Tracking. Serpstat shows you full list of search results for a keyword along with extra data such as: organic keywords, the number of Facebook shares, and the potential traffic score for each separate page. The Tool will also allow you to compare your keywords to different performance indicators, such as search volume, cost-per-click, competition level or number of search results. Serpstat defines your online competitors as websites that rank in Google’s top 20 results for the same keywords as your website. This is the ultimate backlink analysis tool. In particular, it indicates how many links and domains point to your website. The notion of Trust Flow, unique to Majestic, is a note that indicates the level of "trust" of a site based on the reputation of sites that make links. It also makes it possible to visualize the distribution and the types of anchors of a site. Moreover, this tool also makes it possible to have a clear and fast vision of the themes of a site. Screaming Frog is a "crawler" (web analyzer). This tool, which is widely used by developers and marketers, identifies the entire structure of a page and its SEO characteristics. In addition to analyzing the number of H1 and H2, Screaming Frog analyzes the incoming and outgoing links on the structure of the URL. In other words, this tool is great for detecting errors that are detrimental to good SEO. It allows to review its website and bring it closer to the concept "Google friendly". 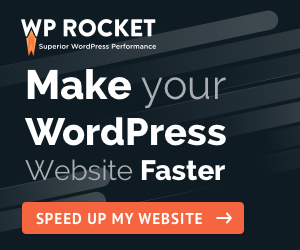 The speed of crawls can be an issue if you have a large website. This amazing tool will help you find hundreds of long tail keyword in no time with the amazing keyword research tool. I will also allow you instantly revealing the ranking difficulty and metrics for hundreds of keywords. Identify keywords with high search volume and low competition, you can also check domain availability for each term as well, which you can apply to your SEO strategy & start ranking on page one. Another cool feature about this tool that is similar to LongTailPro is the keyword brainstorming that helps you discover uncovered long trail keywords. The interface at Keyword Revealer is easier to get started. Appeared in 2014, "Answer the public" automatically extracts from a keyword Google's autosuggestions by associating them with questions or prepositions. The interface of Answer the public is particularly successful, with HTML5 animation. The typed keyword shows questions related to the search keyword. This tool is really innovative compared to the classic extractors of Google Suggest. Keysearch shows you more ways to find related, niche relevant keywords. Just put in a seed keyword the tool will return a lot of related keywords with search volume, CPC & PPC data. This tools will refine your search with Keyword Planner, Google Suggest, Amazon Suggest, YouTube suggest finders and thier own huge database. You can also even put your competitors URL and have Keysearch grab keywords that your competitors are ranking for. Which will give you a number of ways to search for hidden gem long tail keywords. 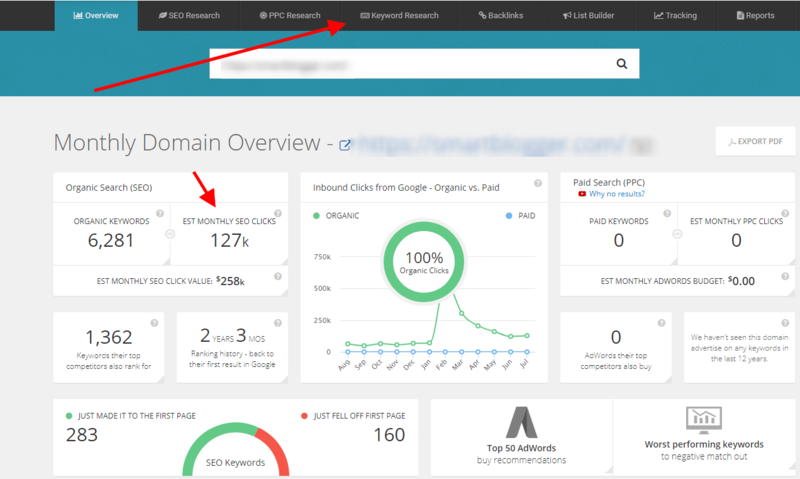 Keysearch will track your rankings & your domains authority stats automatically. You will even have the choice to get trackings down to your exact location. Another cool feature is that you can group keywords, create reports, create notifications and get on demand ranking update. FAQ: What is keyword difficulty? It’s one of the major metrics while doing keyword research. The higher the value, the harder is to compete with others in SERP using that keyword. Awesome tool for getting actionable data on what your competitors, or your client's competitors, are doing online. Having ppc data along with SEO data and keyword data in one app saves a ton of time doing research. I also like that it has a keyword difficulty score for SEO purposes. The tool will allow you to track your ranking progress and impression share on your most important keyword groups. It will suggest expansion keywords and actions to take. The SERP reports were built with good visibility of ranking visibility, monthly stats, domain strengths and social score. You could also either download or export as a pdf document. The biggest issue is exporting graphs and charts. Only the data is exported. Ad metrics can be confusing for a novice SEO user. Free Keyword search volume for 15+ websites like Google Analytics, Google Search Console, Moz, Majestic, YouTube, Amazon & more. The Keywords Everywhere extension is a free keyword research tool that shows you useful google keyword search volume and cost per click data on multiple websites. This tool saves you the hassle of copying data from various websites and using the google adwords keyword planner to see relevant search volume and cpc data. When it comes to finding keywords, the greatest tip you can get is to be patient and keep digging and digging. The more you search and, the more you’ll uncover. After you have collected all related keywords, organize them and develop your plan. Optimize your site, and laten on focus on your outreach plan. Using these keywords, you will have the ability to build the community that assists lead your site/blog to the right direction. 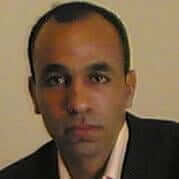 is a free keyword research tool which aggravates all major search engines into one page. This enables you to see all suggested searches from all major search engines (Google,Amazon, Yahoo, Bing , yahoo, WikiPedia and Answer.com ) by simply entering words into Soolve’s search box. As you type into Soovle you will see suggested keywords appear for each of the various search engines. This is useful if you plan on marketing your content or brand on different platforms, such as listing your products on Amazon. By seeing all suggested search terms in one place you can quickly get a good idea what search phrases people are using. Allows you to save your searches for later use. If you type fast , Soovle may not keep up and may give bizarre and unrelated results. Super easy to use and giving all the information you need quickly (like monthly search volume, suggested bids ...). Just put your keywords into the search box, and press submit. You’ll get a table with related phrases, and US and UK monthly search volume. You’ll also see daily search volume for Google and other search engines like Bing and Yahoo. Click on any of the underlined numbers to go directly to the search engine page for that query. Another free feature is that you can enter a competing URL to quickly gain access to their organic & paid search performance history , know exactly where they rank, pick off their best keywords, and track new opportunities as they emerge. Offers a CSV export option which allows you to export the data in the interface. Links to Google Trends, Google Suggest, and other tools providing keyword research results. Most keyowrd databases consist of a small sample of the overall search universe. 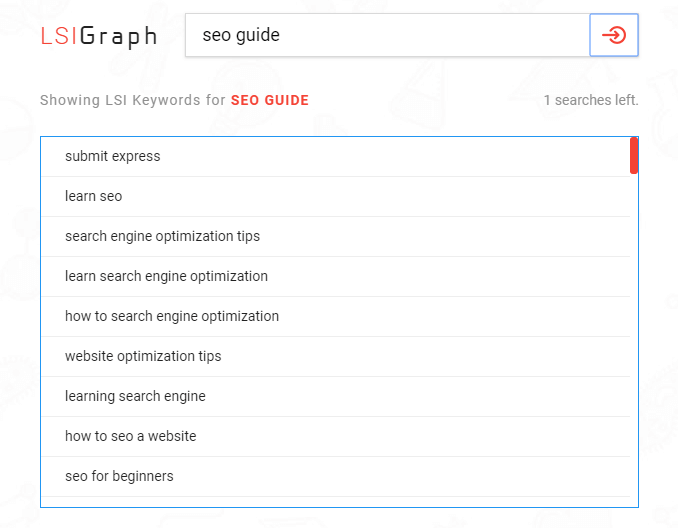 A free tool, LSI Graph helps you find LSI keywords that emphasize the optimization of your content. Simply enter your keyword in the search bar and you will receive a list of LSI keywords that you can use. Note that you do not have to use them all. Think about the intention of your user. All of these keywords do not match your goals or the needs of your buyer, so filter them wisely. 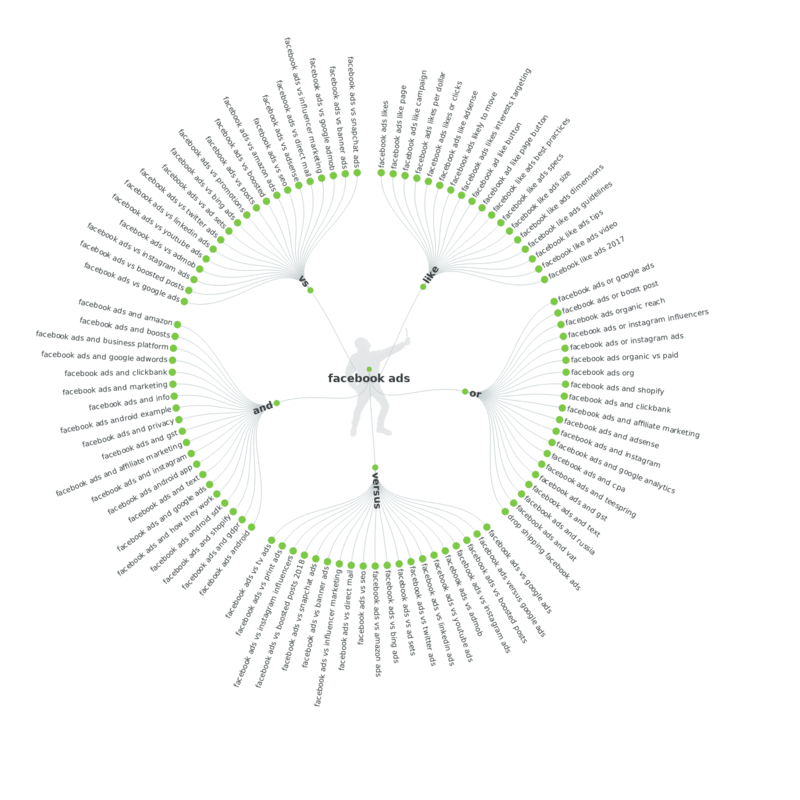 LSI keywords are essentially keywords related to the keywords that you are searching for, and Google does this by using a system known as LSI (Latent Semantic Indexing). A lot of people think that LSI keywords are synonyms. But this is incorrect. LSI keywords are simply words that are frequently found together because they share the same context. Keyword Discovery is a keyword research tool with a database of over 36 Billion search queries from over 200 search engines worldwide. Access to search phrases that people use to find products and services, as well as the search terms that drive traffic to your competitors. They offer keyword databases from different big sites like eBay, Amazon, and other shopping sites, showing you products people want to buy. You can also search keyword databases by countries, such as the USA, Australia, Germany, the UK, Canada and others. Keyword Discovery offers various keyword research options, like broad match search, competitors, thesaurus, phrase search and domain score search..etc. One good cool feature is you can also search for spelling mistakes and typos, related keywords, industry categories inflected form. Along with other features like adult filter, exclude keywords, keyword manager, plural search inclusion, and removing space searches. Whether Free or Paid, there is no dearth of Keyword Research Tools. It all boils down to what stage of Keyword Research you are at? If you are looking for advanced sliced and diced data… you may look for an advanced Paid tool. In the other case, a free, average tool like (Google Keyword Planner) will do a good job. Before you zeroed down to a single tool, it is always recommended to have a go at options and features to see which one fits your requirements better. There are a lot of keyword research tools available these days. It can become a quite time-consuming and challenging task to find the right tool when creating your content. If you are looking for an easy and free solution then I recommend Google Keyword Planner, which I'm still using. If you have a small budget, KWFinder is a long tail keyword research tool with a great interface. It shows you trend, search volume, CPC, and level of difficulty in results. KWFinder also helps you dig into local keyword research – you can target your search results by city, state or country ..etc. If you’re a professional and looking for advanced features, then you’ll want to get into a premium tool – SemRush. Agree, it’s pricey, however the volume, accuracy of the data and competitive analysis would mean you’ll get a solid asset on your investment. Update : another tools that we liked recently is KeySearch. It is an affordable version of Ahrefs ( I wouldn’t say it is a better alternative to Ahrefs) , but it offers wat you will need in your and get the job done . It will help you analyze competition and find keywords that are easy to rank for while saving you time. What other keyword tools would you add to the above? Share your opinions in the comment section down. 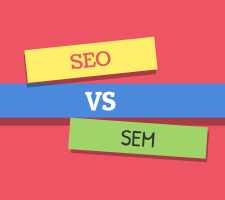 SEO vs. SEM – Which is Convenient for Your Business?